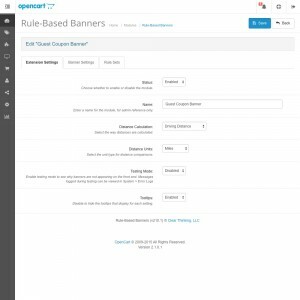 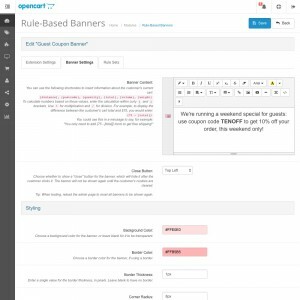 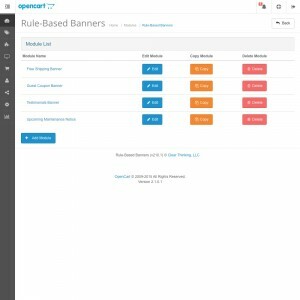 This extension lets you create banners that display based on a variety of different rules, including cart criteria, date/time criteria, location criteria, and order criteria. 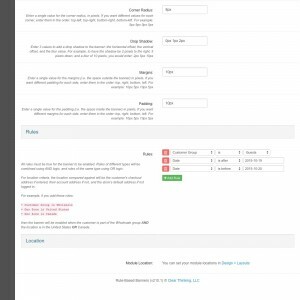 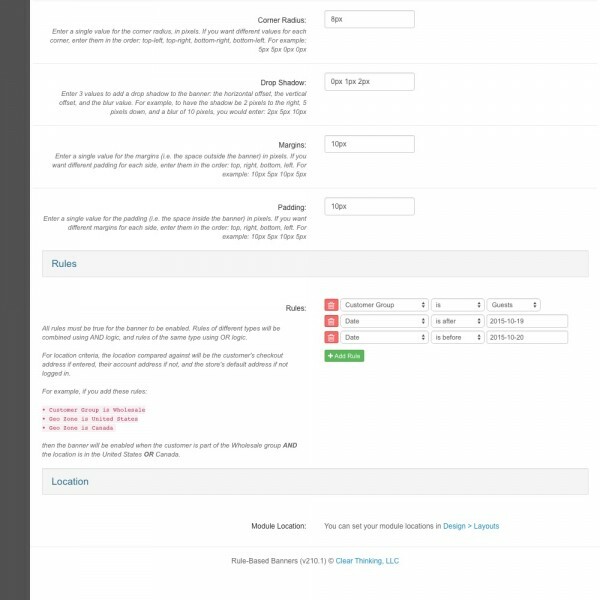 The banner styling and HTML content can be set directly within the admin panel. 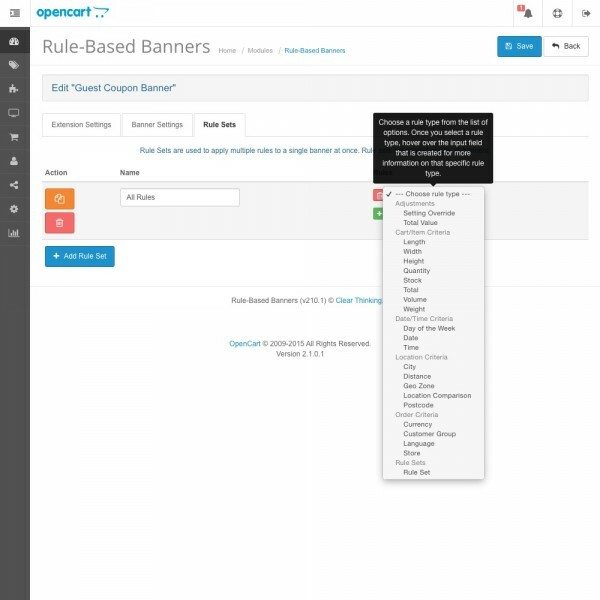 Set the banner background, border, and spacing directly in the admin panel. Build rule sets to apply multiple rules to a single banner at once. 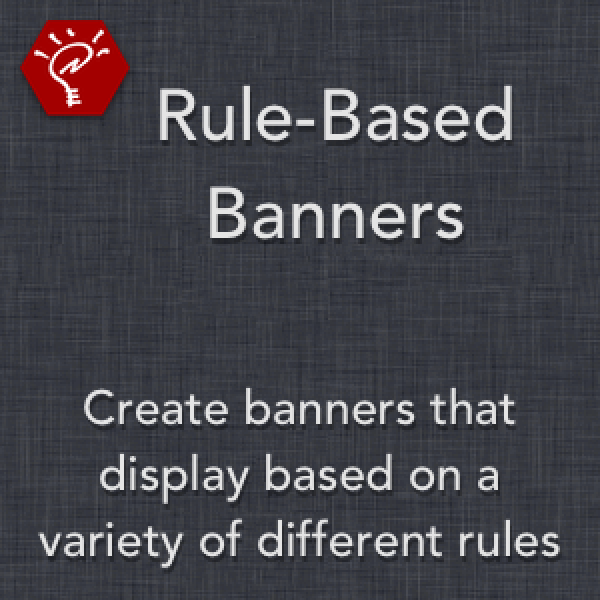 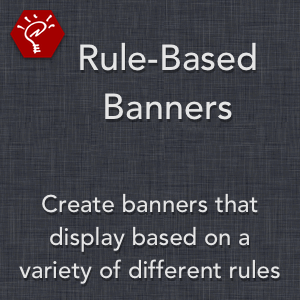 Re-use the same rule set for different banners to quickly create the ones you need. Use the included Testing Mode to determine why banners are not appearing on the front-end, helping to debug complex rule interactions. 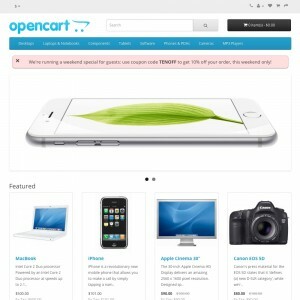 Use the Infinite Module Positions extension to place banners in non-standard locations, such as within one of the checkout steps, or within the middle of the cart page.